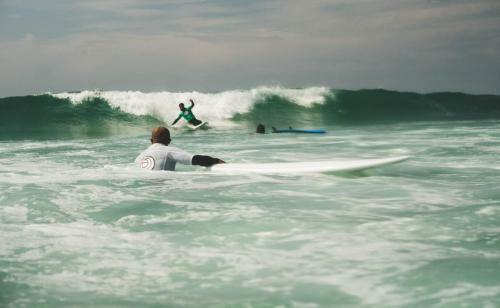 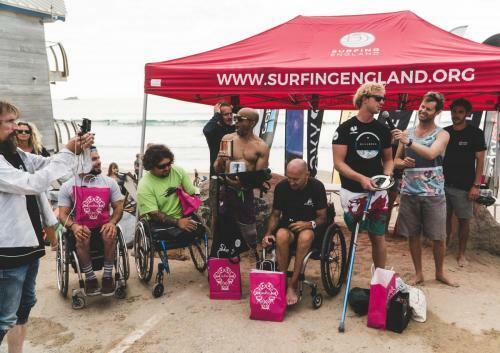 The event brought the surfing community together, but what is this community we speak of? Well, community is defined as “the condition of sharing or having certain attitudes and interests in common”, and that is what adaptive surfing is – it’s a discipline of surfing that brings a group of likeminded individuals together to share the stoke and the wonderful joy that surfing brings, no matter the challenges that they may face. 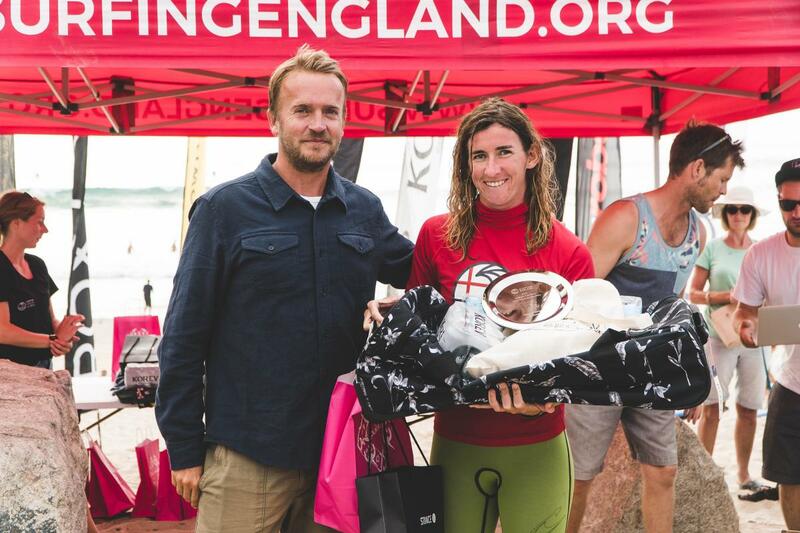 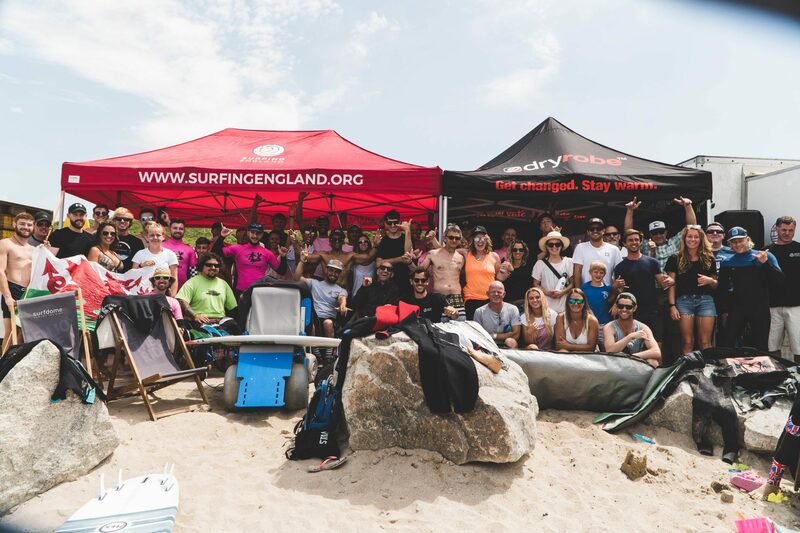 So, for Surfing England the focus of this event was to providing the opportunity and grow the impact it holds. 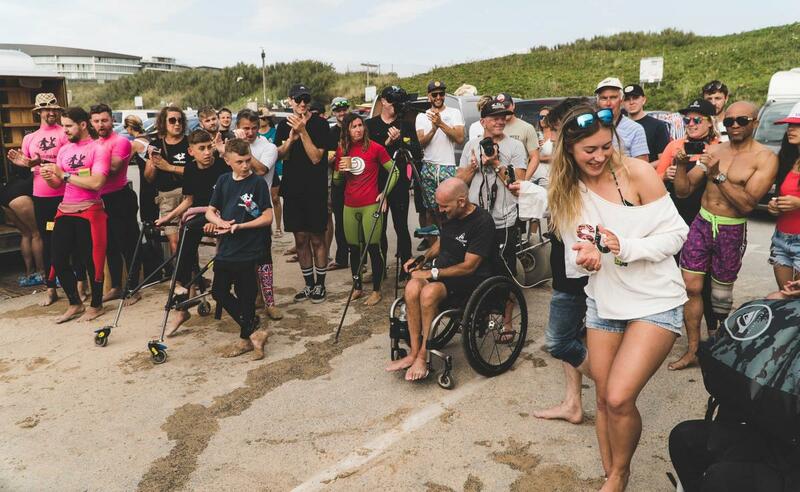 The first heat got underway with Melissa Reid catching the first wave of the event, with good speed, power and flow, made even more impressive by her Visual Impairment. 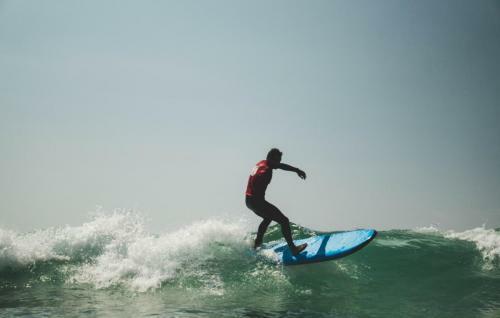 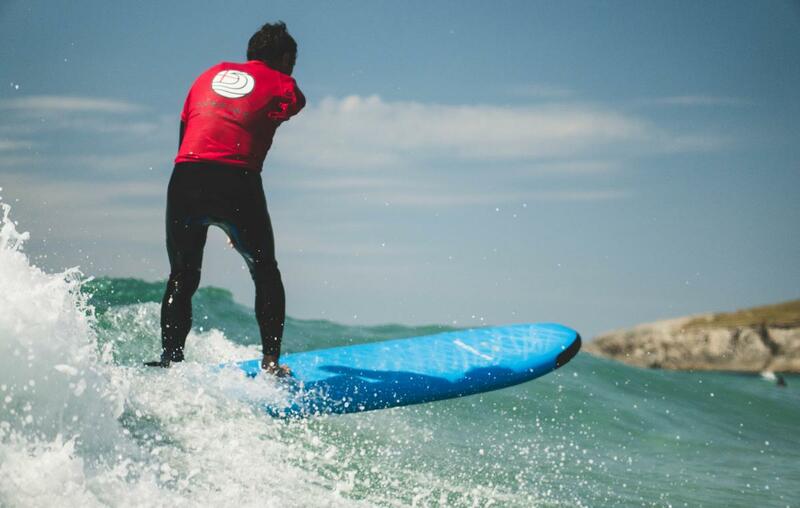 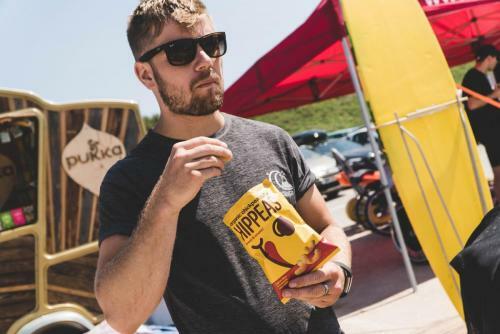 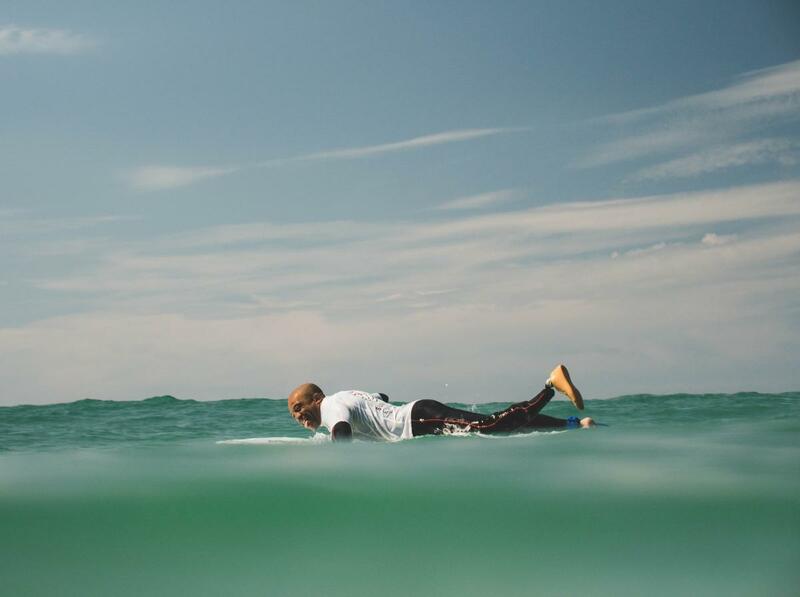 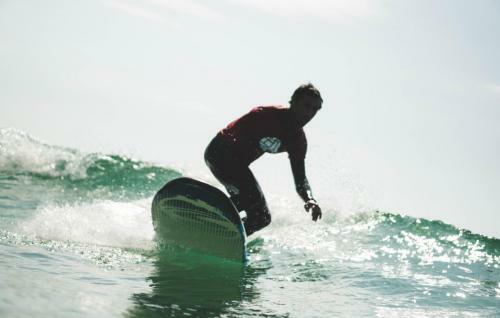 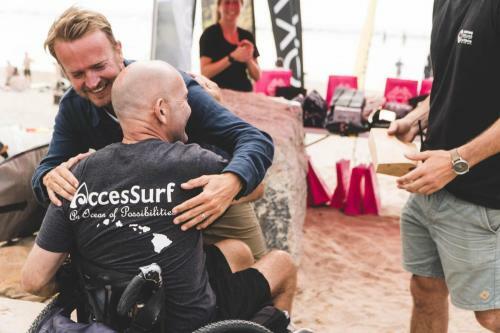 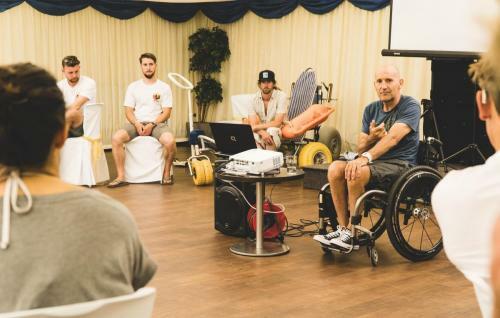 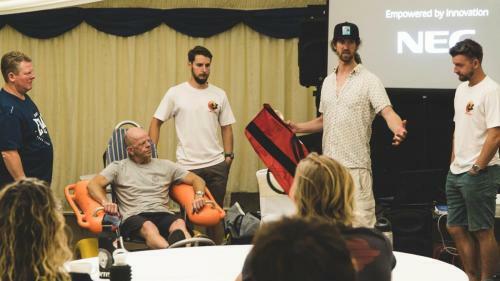 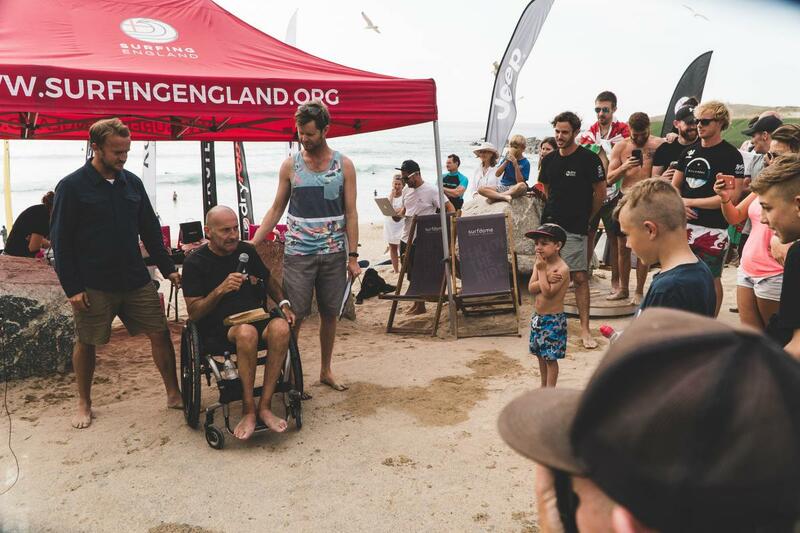 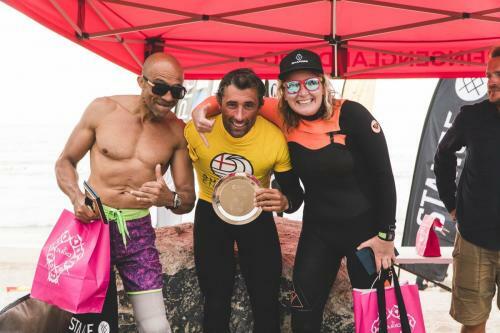 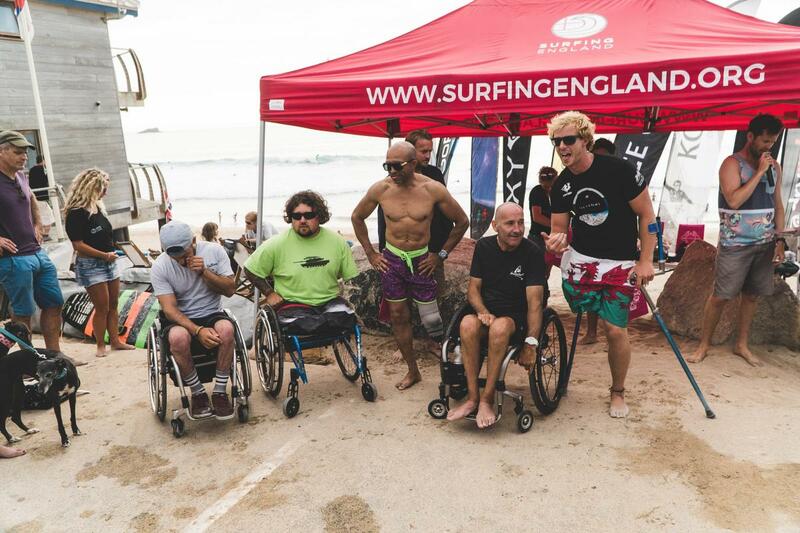 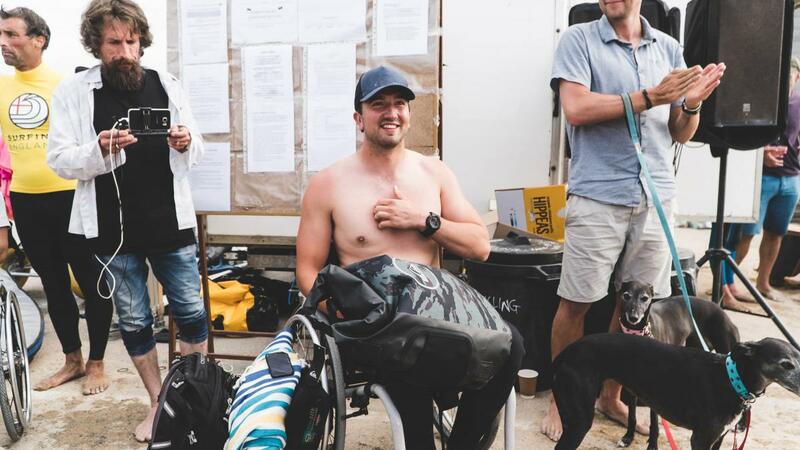 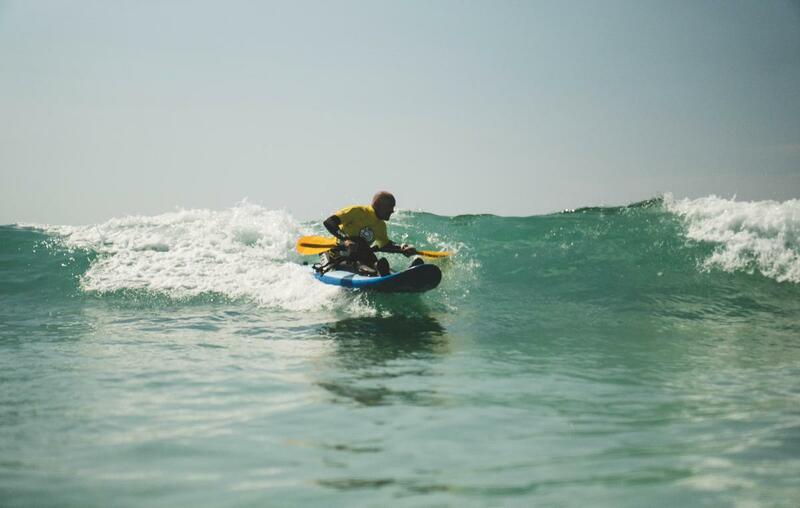 This seemed to set the competitive tone and the afternoon ploughed on through heats, with divisions identified by a surfers’ functional ability to surf in either ‘standing, sitting/kneeling, prone, assisted, open or visually impaired’ divisions. 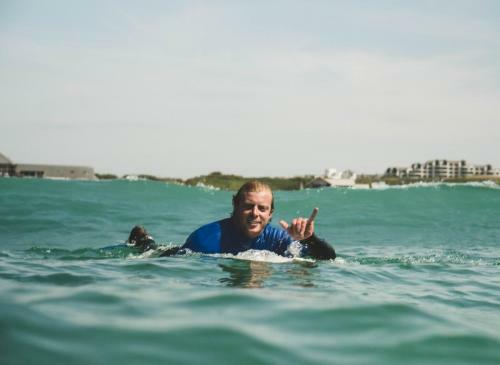 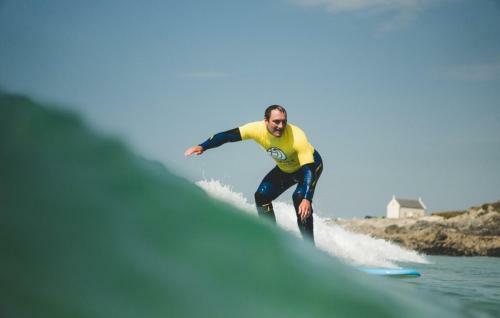 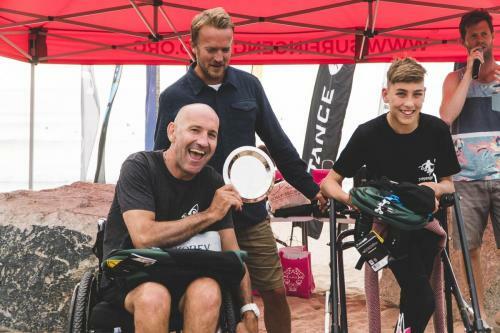 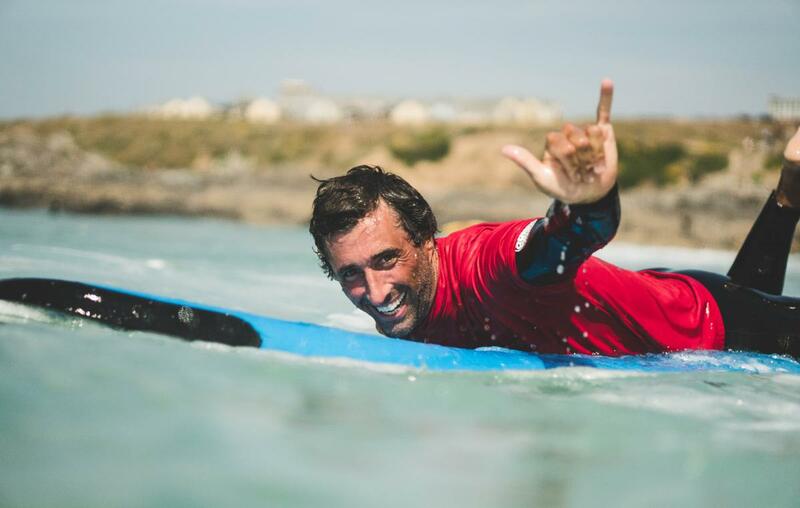 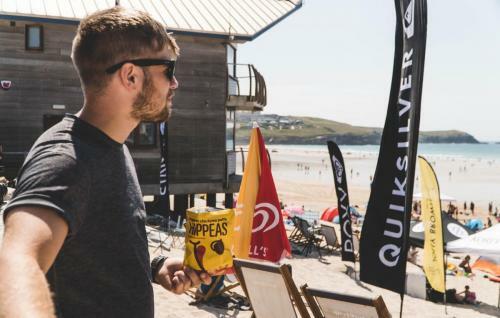 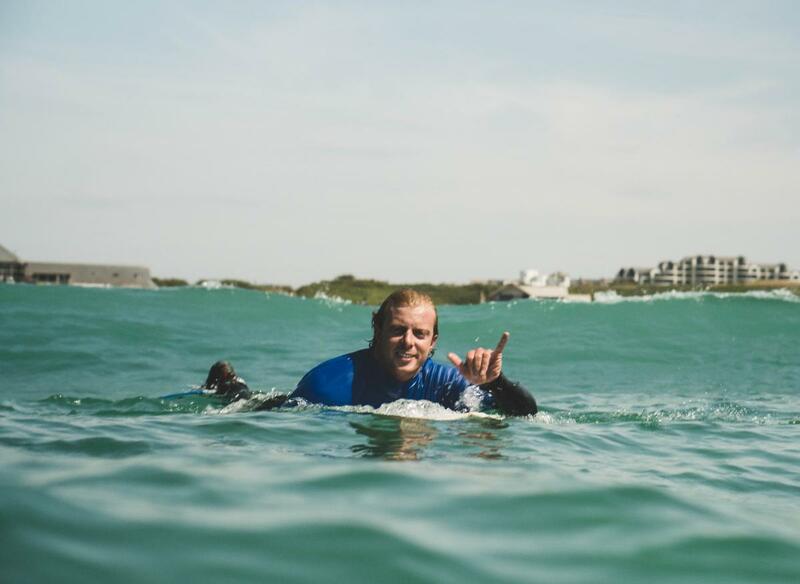 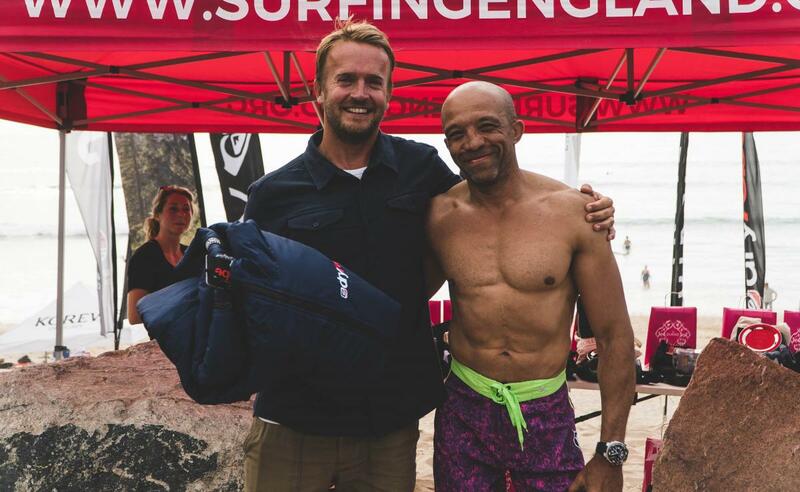 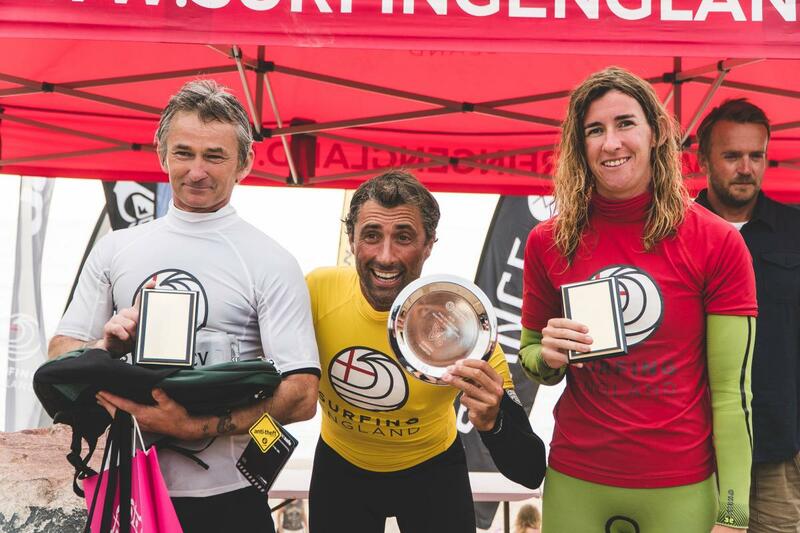 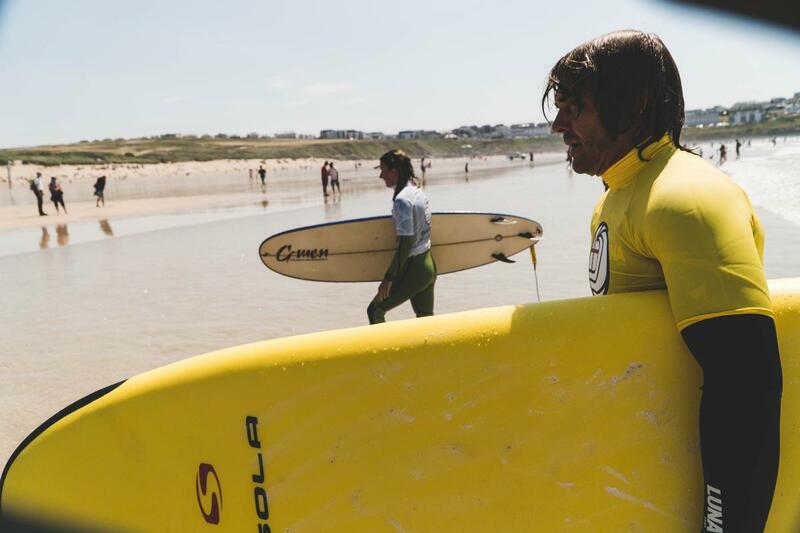 In a first for Surfing England, a liveheats scoring system was introduced and the elite panel of judges scored and placed the surfers with some progressing and others not, the camaraderie was exceptional and the vibe unrivalled. 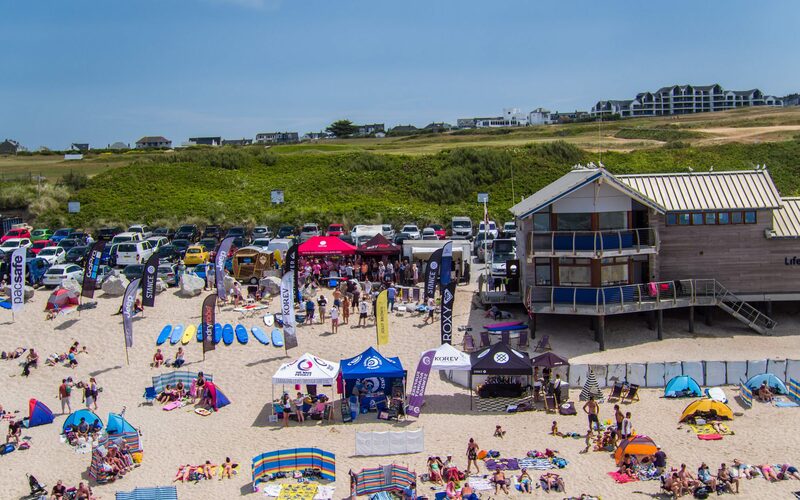 So with the high tide rising and the finals commencing, the atmosphere was electric and the surfers delivered, much to the joy of the beach goers and supporters alike. 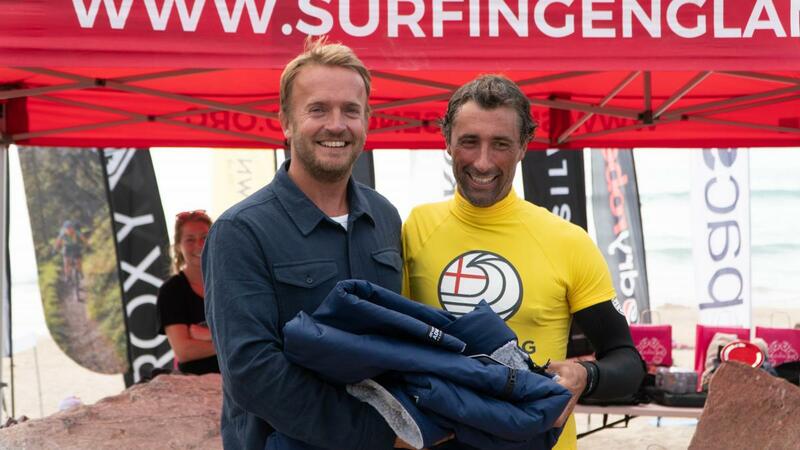 As the sun began to set so came the time for prize giving and rewards. A unique event also calls for some unique prizes and Darren Edwards picked up an unexpected ‘Newest Frother’ title, followed by Laurent Marouf taking the ‘Biggest Frother’ award and fellow Frenchman Benoit Moreau earning ‘Highest scoring wave’ with a 7.2 – Spike Kane collected his Surfing England Global Ambassador Award given at the 2018 AGM and took the moment to thank everyone for growing the sport and rightly noted “it all just starts with you getting up in the morning and going surfing”. 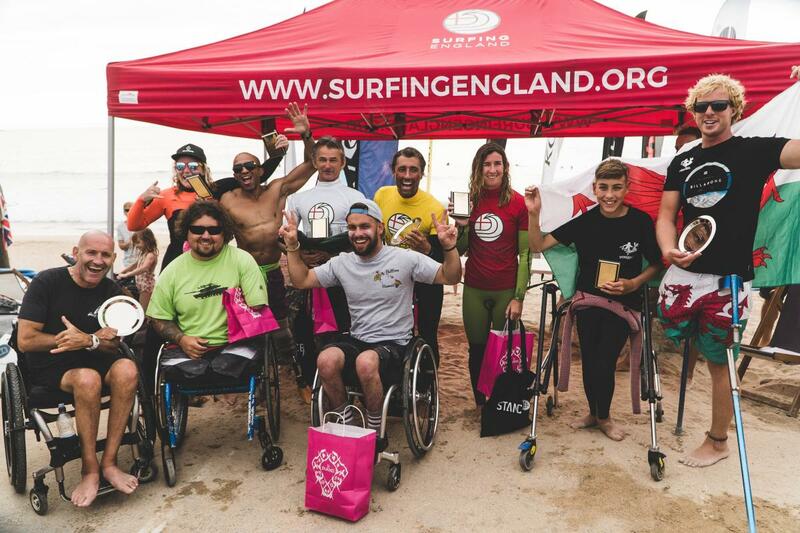 All of the division results are continued below.